SAN DIEGO, Feb. 23, 2017 -- Virtual reality developer Experiment 7 and Dungeons & Dragons, from Wizards of the Coast, announced their partnership today to bring games to VR. Dungeon Chess™, a D&D-themed animated chess game, is the first title developed by Experiment 7 in this partnership and will release on Oculus Rift and Samsung Gear VR later this year. 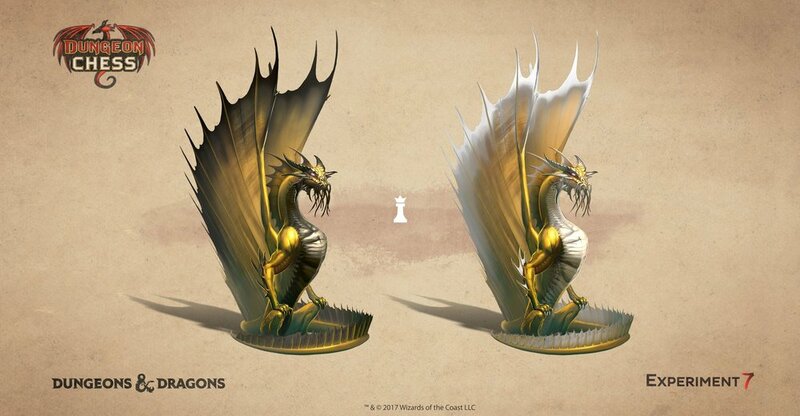 "As huge D&D fans, we're excited to work with Wizards of the Coast on Dungeon Chess," said Experiment 7 Co-founder and Creative Director, Geoffrey Zatkin. 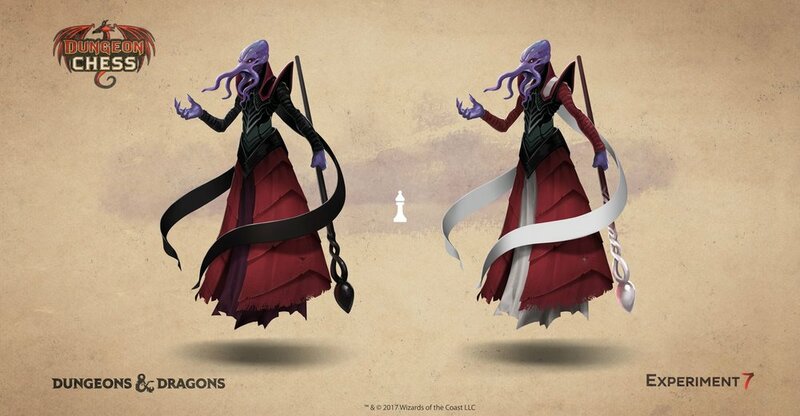 "We're using iconic D&D creatures to bring fantasy and wonder to the classic strategy game of chess, while taking great care to stay true to D&D lore, implement robust chess gameplay, and provide a high-quality user experience. We believe this commitment will make Dungeon Chess enjoyable for chess fans, D&D enthusiasts, and the VR community in general." 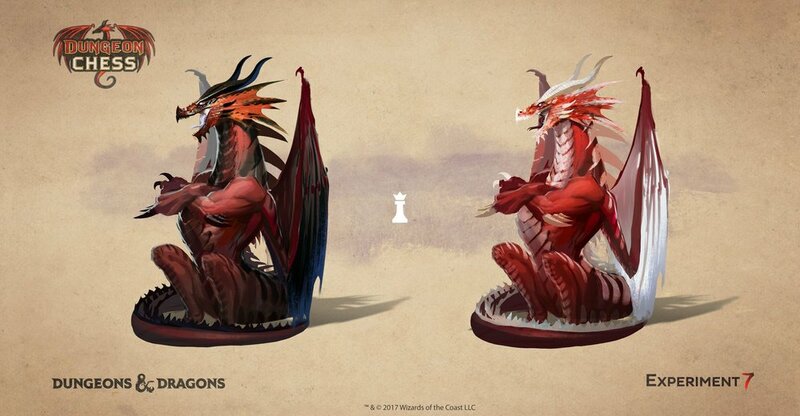 In Dungeon Chess, players move fire-breathing dragon queens, death-ray blasting beholder rooks and other popular D&D creatures across the board as they engage in classic chess matches. 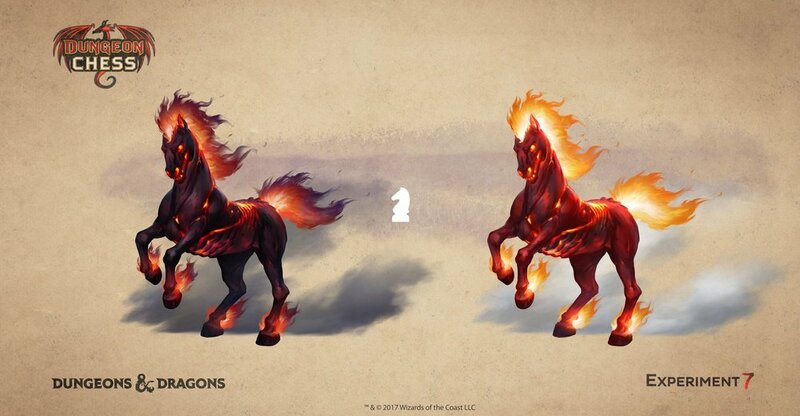 New creatures will be revealed weekly on Experiment 7's social media channels leading up to Dungeon Chess's release. 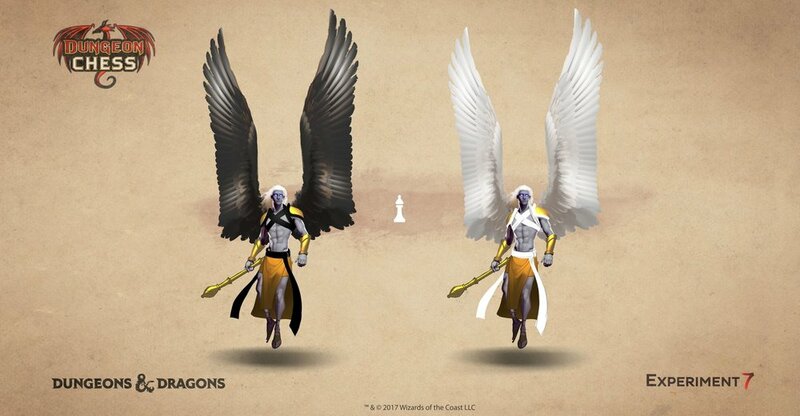 "Players will be able to experience Dungeon Chess on our Magic Table™ platform," said Experiment 7's Co-founder and Managing Director, Demetri Detsaridis. "Magic Table players can play against real-world friends, other VR users from around the world, or face our custom AI opponents in Dungeon Chess, or other tabletop games. Each game is played in stunning and customizable rooms, like the legendary Yawning Portal tavern. Eventually, they'll even be able to play and chat with users on completely different VR hardware." "Continuing in our tradition of exploring new platforms and technologies, we are excited to partner with Experiment 7 to bring the brand to life in the virtual game room," said Nathan Stewart, Brand Director for D&D. "Being able to personalize your own space and invite your friends over to enjoy a game of Dungeon Chess is just plain cool. Spicing it up with fantastic animations that bring iconic D&D monsters to life is a bonus." To learn more about Experiment 7 or Dungeon Chess, visit experiment7.com. To request assets, or schedule an interview with the team, email Emmy Jonassen at press[at]experiment7[dot]com. Wizards of the Coast LLC, a subsidiary of Hasbro, Inc. (HAS), is the leader in entertaining the lifestyle gamer. Wizards' players and fans are members of a global community bound together by their love of both digital gaming and in-person play. The company brings to market a range of gaming experiences under powerful brand names such as MAGIC: THE GATHERING and DUNGEONS & DRAGONS. For more information about our world renowned brands, visit the Wizards of the Coast Web site at www.wizards.com. Experiment 7 is a VR games studio based in New York and San Diego. We develop high quality strategy games with broad market appeal. Our staff combines battle-tested game design leadership with unparalleled game data expertise and a dream team of VR, mobile, console and PC veterans. We believe in collaborative creative development, sound quality of life and an uncompromising commitment to product quality. Learn more at Experiment7.com.